I have always loved this picture since the first time I opened the Bhagavad-gita some 42 years ago. It is a beautiful image of life in the Spiritual Sky, and also, it is a nice graphic description of the 5 types of relationships one can have with the Supreme Lord. The following is a short description, from the Introduction to the Bhagavad-gita As It Is, about the eternal nature, and the 5 types of relationships on can have with the Lord. …In this material world we find that everything is temporary. It comes into being, stays for some time, produces some by-products, dwindles and then vanishes. That is the law of the material world, whether we use as an example this body, or a piece of fruit or anything. But beyond this temporary world there is another world of which we have information. This world consists of another nature which is sanātana, eternal. Jīva is also described as sanātana, eternal, and the Lord is also described as sanātana in the Eleventh Chapter. 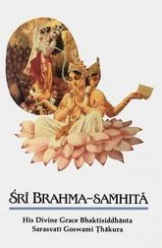 We have an intimate relationship with the Lord, and because we are all qualitatively one—the sanātana-dhāma, or sky, the sanātana Supreme Personality and the sanātana living entities—the whole purpose of Bhagavad-gītā is to revive our sanātana occupation, or sanātana-dharma, which is the eternal occupation of the living entity. 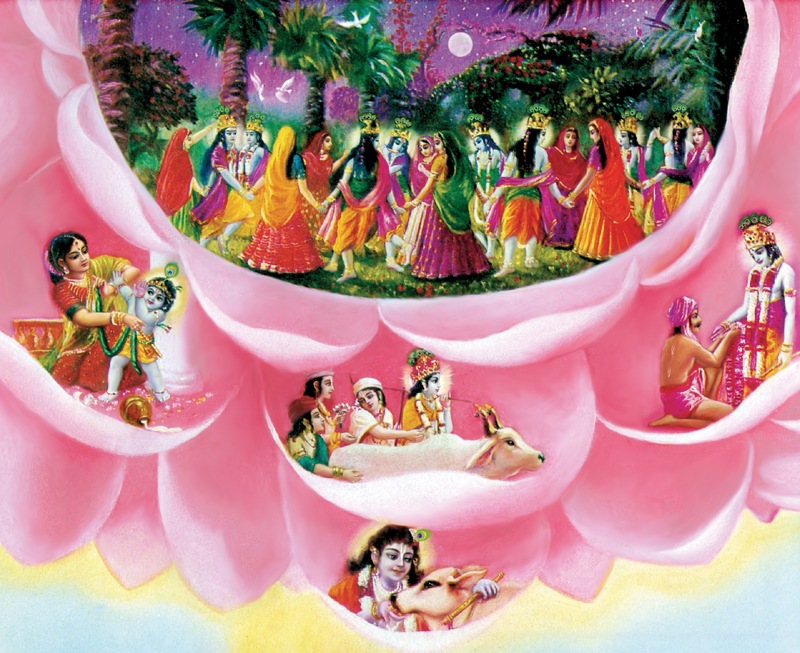 We are temporarily engaged in different activities, but all of these activities can be purified when we give up all these temporary activities and take up the activities which are prescribed by the Supreme Lord. That is called our pure life.